How can you predict a fire before seeing flames and smoke? Look for the spark. In the municipal bond market, finding the spark is the subject of constant research, investigation and hand wringing. 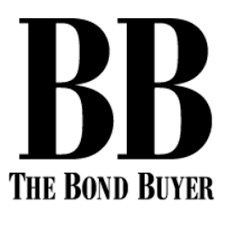 Whether it is a mayor contemplating bankruptcy, a union discussing a nursing strike, or embezzlement charges against school district officials, the muni bond market is in a constant state of high alert. Why is it so hard to spot warning signs before they turn into financial setbacks? To begin with, there are 65,000 issuers of municipal debt, which results in two significant problems. First, events that never make the headlines frequently have a significant impact, so it is not enough just to monitor mainstream news sources to make a risk analysis. Second, and perhaps more importantly, there is a cap on human ability to read, digest, and respond to information. When you are trying to monitor 65,000 issuers of debt and the millions of factors that relate to them, you are swimming up a waterfall. While the Internet helped us leap beyond reading a pile of print newspapers each morning, it has brought its own problems - namely countless sources of news and alerts, filled mostly with duplicate stories and junk. In fact, only 0.5% of news stories are relevant to the credit risk of an issuer. Dredging the Internet and other sources for information to inform risk assessments is time-intensive and ineffective. Yet most professionals in the muni bond industry will tell you the first thing they do each morning is scan the news and look for warning signs. Now three of the four rating agencies, numerous institutional banks, insurance companies, pricing and evaluation services and broker dealers are leveraging off-the-shelf muni artificial intelligence (A.I.) products to eliminate surprises and wasted time. Analysts, portfolio managers, and compliance teams have already integrated and are benefiting from the technology. A.I. is a diverse term used to describe a variety of technologies. The A.I. available today in the muni market is called augmented intelligence. Its aim is to do investigative grunt work, freeing professionals to quickly make better-informed decisions. It can be “taught” to think and search like a human, and when paired with a human counterpart, it becomes incredibly adept and seeking out the most relevant information. "A.I. is a strong fit for the industry. Great A.I. applications are found where you have expensive people doing repetitive, low value tasks that computers can do faster and more precisely," said Thomas Ryan, head of Thomson Reuters Municipal Bond Valuations – Content & Insight. "The A.I. we leverage analyzes 350,000 news articles a day, from tens of thousands of local and national sources, and identifies material changes that can impact a specific CUSIP. We are able to immediately assess changes in each of the 65,000 obligors and their CUSIPs with more precision than ever before." Today, most muni professionals fall into the every-person-does-their-own-research model. A few larger organizations have consolidated their search activities to a dedicated team. A subscription to a commercial A.I. offered by companies like Bitvore replaces individual research tasks with computers running in the cloud that are trained to detect the hundreds of problems that impact general obligation and revenue bonds, with the intelligence to understand what impacts a hospital versus other sectors, and that are smart enough to discern the difference between a school closing due to budget problems and because of a snow day. "We are seeing the future for the industry in this innovation. It's a big step forward and a competitive advantage for us,” commented Skip Fish, CEO of Charles Fish Investments. The wave of A.I. that has already changed the landscape of other industries is now positioned to radically change the muni bond market. Because the currency of the market is information, having more accurate and timely information is a game changer.